(West Yellowstone, Mont.) 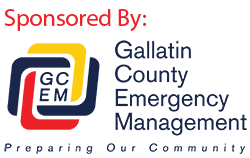 Sheriff’s Search and Rescue Units were called into service twice so far today for what is usually a busy Presidents Day weekend in the South of Gallatin County. At 1:30 p.m., the West Yellowstone Police Department received a report of an injured cross country skier on the Rendezvous Ski Trail near West Yellowstone. Personnel from the West Yellowstone division of Sheriff’s Search and Rescue with a Sheriff’s Deputy responded to the rescue. Rescuers responded on snowmobiles and when they arrived on scene they found a 58-year-old female from Idaho Falls, Idaho, with a broken wrist. She was transported back to West Yellowstone and went to the hospital by private vehicle. At 2:44 p.m., the West Yellowstone Police Department received a report of an injured snowmobiler on the Old Airport, which is on the west edge of West Yellowstone. SAR personnel this time with the assistance of Yellowstone National Park Rangers, responded. Rescuers responded on snowmobiles and a special tracked ATV. When they arrived on scene they found a 38-year-old male from Forsyth, Montana, who had lost control of his snowmobile, was ejected, and suffered a head injury. The snowmobiler’s helmet had flown off during the accident because the chin strap was not secured. He was packaged onto the rescue sled and transported to West Yellowstone. He was then transferred to a Hebgen Basin Fire Department ambulance and transported to the Bozeman Deaconess Hospital.